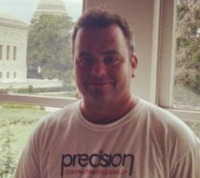 Derrick Sieber joined Precision Contracting Solutions, LP, in 2007 and continues to drive activities at the Washington, DC, residential and commercial construction project firm as owner. Under his guidance, the company has established many 5-star ratings on Homeadvisor and maintains an A+ rating with the Better Business Bureau (BBB) while performing services as diverse as foundation work and disaster recovery services. Over the course of his career in the construction industry, Derrick Sieber regularly engages and coordinates with a range of professionals, from permit expeditors to engineers. Mr. Sieber, a member of industry organizations such as the National Association of the Remodeling Industry (NARI), studied communication at the University of Maryland, graduating with a bachelor of arts in 2004. During his time at the school, he established and managed his own construction company. Beyond his work in construction, he enjoys spending time with his family. He recently organized a charity golf event benefitting his daughter’s day school.